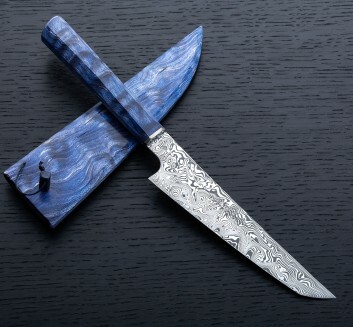 James Oatley of Oatley Knives is a St Leonards, Australia based bladesmith specializing in unique, high quality, hand forged chef knives. 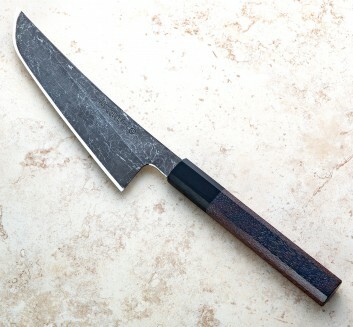 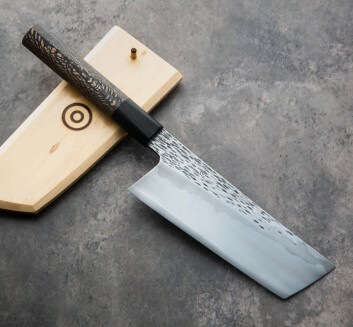 James has quickly made a name for himself as a talented culinary tool maker, designing and creating extremely functional knives for the kitchen in a wide variety of models that range from classic chef profiles to long, thin single bevel sujihiki's and Damasteel nakiris to name a few. 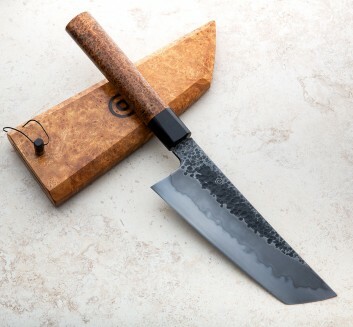 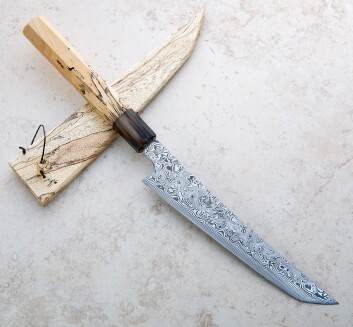 Employing exotic hardwoods, top-quality synthetics and simple, clean designs, James fits each blade with a one-of-a-kind handle, and builds custom sayas for many of his knives. 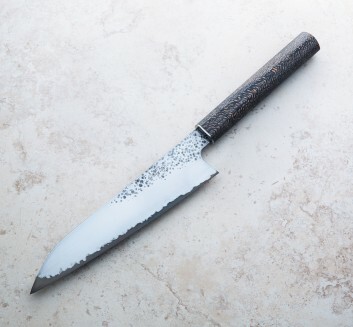 We're honored to represent James' work here on Eatingtools.